The Best and Worst Run States in America: A Survey of All 50 - 24/7 Wall St.
How well run are America’s 50 states? The answer depends a lot on where you live. Every year, 24/7 Wall St. conducts an extensive survey of all fifty states in America. Based on a review of data on financial health, standard of living and government services by state we determine how well each state is managed. For the first time, North Dakota is the best run. California is the worst run for the second year in a row. The successful management of a state is difficult to measure. Factors that affect its finances and population may be the result of decisions made years ago. A state’s difficulties can be caused by poor governance or by external factors, such as extreme weather. A state with abundant natural resources should have an easier time balancing its budget than one starved for resources. Regional problems or the national decline of certain industries can destroy local economies. The subprime mortgage crisis, for example, disproportionately affected states with strong construction and real estate markets. Such factors can be easily identified and noted as possible causes for a state’s poverty levels, unemployment, or strained coffers. Despite this, it is the responsibility of each state to deal with the resources at its disposal. Each government must anticipate economic shifts and diversify its industries and attract new business. A state should be able to raise enough revenue to ensure the safety of its citizens and minimize hardship without spending more than it can prudently afford. Some states have historically done this much better than others. To determine how well the states are run, 24/7 Wall St. reviewed hundreds of data sets from dozens of sources. We looked at each state’s debt, revenue, expenditure and deficit to determine how well it is managed fiscally. We reviewed taxes, exports, and GDP growth, including a breakdown by sector, to identify how each state is managing its resources. We looked at poverty, income, unemployment, high school graduation, violent crime and foreclosure rates to measure if residents are prospering. The best-run states have certain characteristics in common, as do the worst run. The high-ranking states all have well-managed budgets. Each of the top ten has a perfect, or near-perfect, credit rating from Standard & Poor’s, Moody’s, or both. Of the ten worst-ranked, only three received top scores from one agency, and none from both. California is currently the only state rated A- by S&P, the lowest score given to any state. These poor-ranked states have high debt relative to both income and expenditure. There is a strong correlation between well-educated populations and generally well-managed states. Of the ten best-scoring states on our list, nine have among the highest percentages of adults with high school diplomas. Employment is also closely correlated to how well a state is managed. The unemployment rates of most of the poorly ranked states are among the highest in the country. 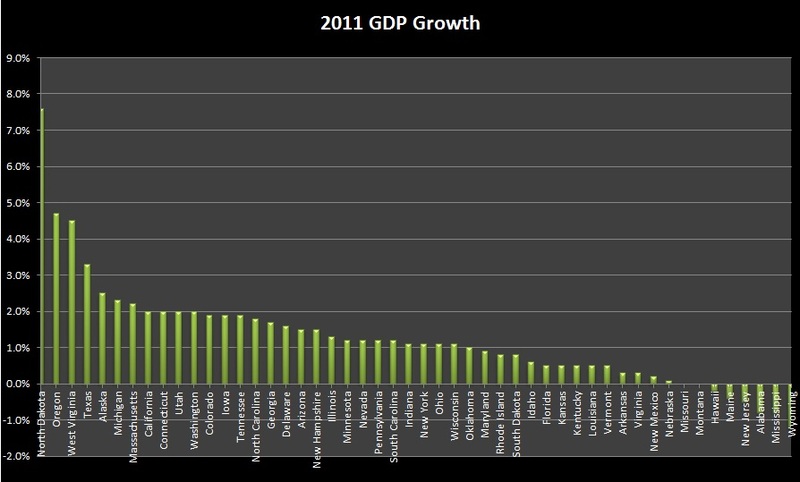 Nine of the ten best-ranked states had an unemployment rate of less than 7% in 2011. This includes North Dakota, which had the lowest rate in the country in 2011, at just 3.6%. The average unemployment rate nationwide was 8.9% in 2011. These are the best- and worst-run states in America.